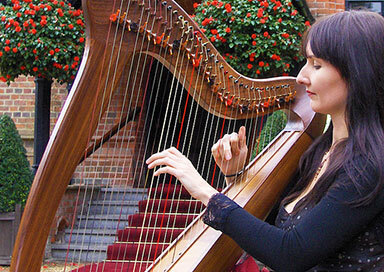 The accomplished musician is a respected, professional harpist and has been performing professionally for many years. 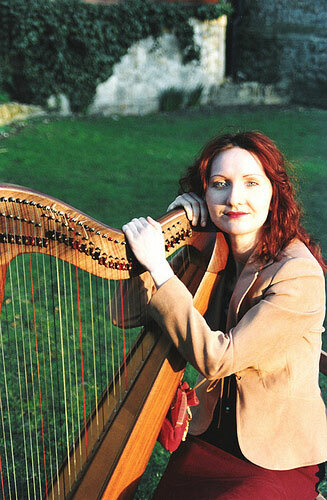 She studied with renowned classical harpist Mary Morley and her repertoire includes Irish, English and French music and features pieces by the most revered of Irish harpists: Turlough O'Carolan, whose music embodies the perfect marriage of classical and Celtic styles. 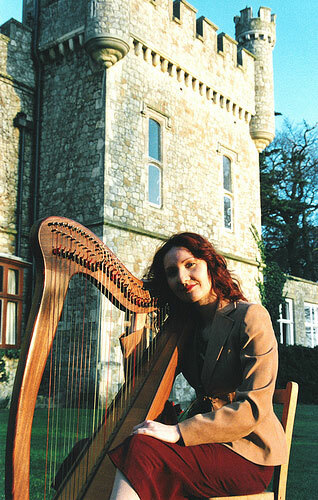 She launched her album of Celtic harp music whilst performing for the Celtic Journey Dance Sensation at the Marlowe Theatre in Canterbury 2007. Her harp is a beautiful Pilgrim Clarsach with a full, sweet tone. She is frequently requested to sing whilst accompanying herself on harp. She also occasionally performs with string quartets and guitarists. Much in demand playing for weddings and events throughout the UK she travels extensively performing in many stunning venues including: Leeds Castle, Chewton Glen, Lympne Castle, Caverswall Castle, Whitstable Castle, Mount Ephraim, Fort Amherst, Salmestone Grange, St. Augustine’s, Carey’s Manor and Eastwell Manor to name but a few. She has wide experience of playing for many occasions including: receptions, weddings, civil partnerships, handfastings, birthdays, anniversaries, garden parties, corporate events and funerals. She also performs for concerts, cultural events, storytelling workshops, residential homes and teaches privately. The Celtic harp is easily portable and can be moved to various locations in accordance with the events of your day. It is suitable for either large or intimate gatherings and can be played outdoors, with the option of amplification when required. This harpist can provide amplification if required.